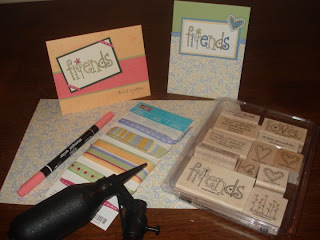 Craftin' Caro: Updates & more stamping! I've been busy stamping at my studio this morning, getting some of the Make & Takes ready for my upcoming 4th Annual Sell-A-Bration Open House, as well preparing for some of my January & February classes. I have also updated all the artwork on my Stampin' Up! website's Art Gallery, added my current specials and am busy working on getting January's e-newsletter out today. I also have about a zillion emails to reply to, so it'll be a pretty full computer day today! I leave you with a beautiful card I got from Margaret, one of the lovely ladies on my Team. 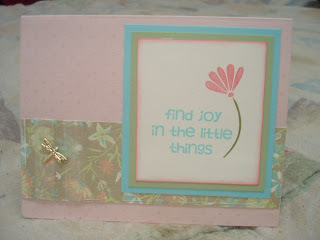 She used the new "Polka Dots & Paisley stamp set we demonstrators got from Stampin' Up! last month. 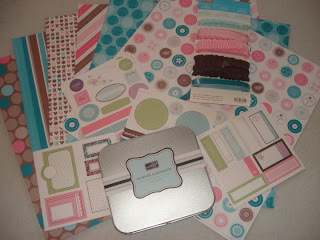 I am crazy about that "Love Matters" Stamp Set!!!!! Your blog looks great! I'm going to bookmark it and come back to it later after I get the kids off to school. Thanks for stopping by mine!